​Based out of Winter Park in Central Florida, Steven provides a secular perspective at events such as weddings and memorial services. He is available throughout Florida and welcomes the opportunity to officiate your important event or function. Steven Bechtel has been a secular Humanist for most of his adult life, although he was raised with a Christian education. In addition to being a Celebrant, Steven is a lawyer, mediator, and arbitrator. In each of those roles he endeavors to be guided by the principles of the Humanist Manifesto. Steven will make every effort to respond to your inquiry within 24 hours. 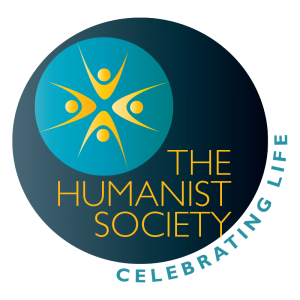 ​Humanism is a progressive philosophy of life that, without theism and other supernatural beliefs, affirms our ability and responsibility to lead ethical lives of personal fulfillment that aspire to the greater good of humanity. Learn more at americanhumanist.org. Steven Bechtel is a graduate of the Tulane University and The George Washington University Law School. He is the senior partner of the Mateer & Harbert law firm in Orlando, Florida. Steve is also an Arbitrator and a Certified Mediator and holds a Florida Real Estate Salesman’s License. Steve’s community service has included holding office in civic organizations and voluntary service on governmental boards in the Central Florida area. Steve has been a secular humanist most of his adult life. He has been a member of the American Humanist Association for several years and regularly attends its annual conferences. Steve also is a member of the Florida and Orlando Humanist Associations. In 2012, Steve became a Humanist Society Celebrant and has greatly enjoyed presenting a secular prospective to events which are so significant to people’s lives, such as weddings and memorial services, throughout Florida. Steve teaches a class in Humanism at Rollins College in Winter Park, Florida.